Forward movement in life requires two things...the ability to take a risk and the ability to create stability. These are two sides of the "growth" coin. By landing exclusively on the side of risk we invite chaos into our lives. By landing exclusively on the side of stability we invite paralysis. A well balanced life involves an oscillation between reasonable risk taking and seeking the shelter of a safe harbor. When couples get sufficiently stressed they often pick one side of the coin and invest all their energy into the belief that the side they picked holds the solution to their problems. One partner believes that taking an additional risk will be the answer while the other believes that hunkering down and staying safe is the only reasonable solution. The deep truth is, neither risk on its own nor stability on its own is the solution. 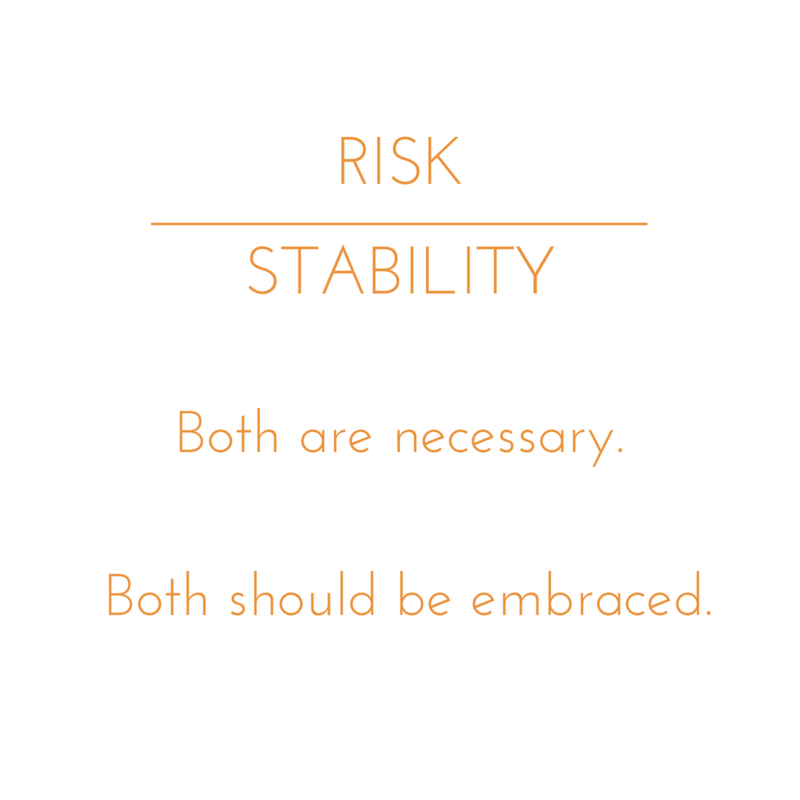 Rather, the solution resides in the ability for a couple to move fluidly and confidently between risk and stability toward the solution both want.